ACA Module User Guide WFL – Payroll Link, Inc. When an employee is hired, you will need to assign an ACA Profile. Currently the default date will be listed as 01/01/2012, this is hard coded in the system and does not need to be updated as a new hire. Variable Hour/Part Time EE- Employee who has variable hours and their time needs to be measured. This widget shows a summary view of rules contained within the employee’s ACA profile. For the Freeze Affordable Plan Offered And Minimum Value Plan, you can keep or freeze an employee on an older or existing plan by using the date fields (i.e. Calculate from 2012 to 2013. Otherwise, employees with special circumstances will be calculated according to the settings in the Minimum Value Plan Offered rule within their ACA profile. 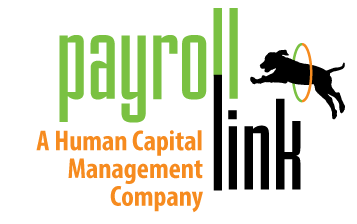 This setting only applies for companies with HR or Payroll enabled. Hours – Represents the hours worked by the employee during the given calendar month. These hours can be configured to populate automatically from timesheets or pay statements. Alternatively, these hours can be imported or manually edited. Month Status – Represents if the total hours in the given month are above the FT (full-time) threshold. If so, the system returns a status of FT. If the hours are below the FT threshold the system then returns a status of PT (part-time). This threshold is defined in the employee’s ACA profile by using one of the following rules: Calculate Monthly Hours From Timesheets, Calculate Monthly Hours From Payroll, or Monthly Hours Imported or Manually Added. When a Standard and Initial measurement period ends, the resulting status (FT or PT) will be reflected in the next new month and will reflect through the end of the stability period or until a new status resulting from the next measurement period is generated, whichever comes first. The employee’s next upcoming ACA status is reflected during the next administrative period after the end of a measurement period (even if it is still not the end of a previous stability period). ACA Status – Represents the status that the employee is currently in based on the completed prior measurement period. This is calculated based on the average number of hours worked in the last measurement period. The Calculate Status ACA rule will populate these fields within the ACA Timeline. Waiting Period Month – Applies to non-variable hour employees. If a waiting period is configured within the ACA profile, the month number (1, 2, or 3) will appear in this row of the ACA Timeline. Initial Measurement Month – For newly hired employees who are still in their initial measurement period, the months (1-12) will be tracked in this row of the ACA Timeline. There is only ONE initial measurement period per employee. Once ended, a new one does not begin. Initial Administrative Month – For employees who have just completed their initial measurement period, if an administrative period is configured in the ACA profile then the months (1 or 2) will be tracked in this row of the ACA timeline. Initial Stability Month - For employees who have completed their initial measurement month and (if applicable) their initial administrative month, the stability period will continue onward and be tracked on this row of the ACA Timeline. Standard Measurement Month - The standard measurement period is defined as a timeframe that repeats over and over for all employees assigned to the same ACA profile. This can run concurrently with an initial measurement period, if it applies. Standard Administrative Month - Lists the number of months (1 or 2) selected for the Administrative Period within the profile. Standard Stability Month - Lists the number of months selected for the Stability Period (1-12) within the profile. Affordable Plan Offered- If benefits are being tracked in the application, the ACA profile can be configured with a rule which will determine if an employee was offered an affordable health plan based on any of the available safe harbor calculation methods during the given month shown in the ACA Timeline. If they have been offered a plan, a Yes will display in this field. If they have not been offered a plan, a No will display. Minimum Value Plan Offered – If benefits are being tracked in the application, the ACA profile can be configured with a rule to check if a minimum value plan was offered to the employee during any given month shown in the ACA Timeline. If they have been offered a plan, a Yes will display in this field. If they have not been offered a plan, a No will display. Compliance Alert – If an employee was NOT offered an affordable plan or a minimum value plan, a compliance alert is then shown as Yes in this field and the month header will display the compliance alert symbol (the exclamation mark within a gold triangle.) If there are no compliance alerts for a given month, then No will display in this field. Approaching ACA FT - Based on the configuration in the ACA profile, this column will indicate with a Yes or No if an employee who is currently PT (part-time) may be approaching a possibility of working enough hours to become considered FT (full-time) in the near future. Possible Downgrade - Based on the configuration in the ACA profile, this column will indicate with a Yes or No if an employee who is currently FT (full-time) may be approaching a possibility of working less than the average hours to become considered PT (part-time) in the near future. 1095-C Line 14 Codes (Series 1)- As defined by the IRS guidelines. 1095-C Line 15 (Monthly Share Lowest Cost )- The Employee’s share of the monthly premium, of the lowest cost plan for employee only, offering minimum value coverage. 1095-C Line 16 Codes (Series 2)- As defined by the IRS guidelines. The date headings over each column are selectable and when clicked, will open a window displaying details of the calculation methods used and how the values were obtained. This information can be key to understanding why a given month calculated the ACA values the way it did. If any changes are made to the ACA Profile, Benefit Profile, or the Benefit Plan, the employees affected by ACA need to be recalculated. This can be done at a Mass Level under My Reports> ACA (Affordable Care Act)> Employee ACA. Select employees and click Recalculate in the upper right corner. Reports are available to view ACA specific data under My Reports > ACA (Affordable Care Act). This report displays each employee and their detailed ACA history for the selected date range. Data is displayed as one row per employee with each ACA item displayed in the columns. Custom Reports- Delivered with payroll. Initial Measurement Period Completed Report (Only applicable with Variable Hour Employees)- This report will show you employees who have completed the Initial Measurement Period and will now be in the Initial Admin Period. Columns to pay close attention to are the “Average Hours in Measurement Period” and the “ACA Status”. These columns will show you if the employee averaged 130 hrs or more a month and if they were deemed FT. For Multi EIN clients, you will need to review the column “Employee has Other person Account”. If “Yes” is listed in this column. You will need to note the employee’s name and run the following report. Multi EIN Average Hours- This report will sum the total hours for ALL EIN’s. You need to filter by the employee’s first and last name. Under the column “EIN AVG HRS” you will see the average hours for all entities. Compliance Alert Report-This report will show you if any employees have a compliance alert for the month. Columns to pay close attention to are the Affordable Plan Offered and Minimum Value Plan Offered. These columns should be populated with Y (Yes) in order to be in compliance with ACA. not to this employee’s spouse or dependent children. It’s rare, but some companies do not allow any dependents to enroll on the plan. This would be the code companies that do not allow dependents to enroll in the plan would use. minimum essential coverage was offered to this employee’s dependent children, but not to this employee’s spouse. This code would be used for most spousal carve-out plans if coverage is not offered to the employee’s spouse. dependent children. This one would be very, very rare. A plan meeting the “minimum value” requirements was offered to this full-time employee and at least minimum essential coverage was offered to both this employee’s dependent children and spouse. This will be the most frequently used code. So if the company is not planning to use the Federal Poverty Level Safe Harbor and offered coverage to this full-time employee and their family members, this would be the correct code. plan that meets the threshold for minimum essential coverage, but not for minimum value. coverage that fails to meet minimum essential coverage requirements. This code is used for any month that the employee did not work for you, when the employee was in their waiting period or when the employee was working part-time hours and ineligible for health insurance. This code is only used when the company only allows some employees to add their spouse, but not other employees. So this code is used when working spouses or spouses with other coverage are not eligible for the plan. Therefore, use this code if the employee is offered minimum essential coverage providing minimum value but such coverage is only offered to certain spouses (with conditions) and is not offered to dependent children. This one is very rare. This code is only used when the company only allows some employees to add their spouse, but not other employees. So this code is used when working spouses or spouses with other coverage are not eligible for the plan. Therefore, use this code if the employee is offered minimum essential coverage providing minimum value but such coverage is only offered to certain spouses (with conditions) and is offered to dependent children. This one is also very rare. The only difference between this one and IJ is whether or not coverage is offered to dependent children. IK is used when it is offered to dependent children and IJ is used when it is not. Complete line 15 only if code 1B, 1C, 1D, or 1E is entered on line 14 either in the “All 12 Months” box or in any of the monthly boxes. You do not report the actual amount the employee paid for coverage on this line. Rather, it is asking for the employee share of the monthly premium for the lowest cost, self-only minimum value coverage. It’s very possible the employee selected a more expensive plan or opted to cover dependents, so only report the amount it would have cost the employee if the employee had selected “employee-only” coverage for your least expensive plan option that meets the minimum value requirements. This employee was not employed on any day of the calendar month. Do not use this code if they were employed on any day in the month. For example, if the employee only worked a partial month because this was the month in which they were hired or terminated, do not use this code. This code will most commonly be used for new hires and employees terminated during the calendar year. coverage, if offered for the month. This is also the code to use if an employee terminates in the middle of the month and coverage is not extended through the end of the month. This does not apply to employees who are in their waiting period or measurement period. This employee was enrolled in the employer’s plan every day of this calendar month. Whether the spouse or dependents are enrolled has no effect on this code. This code will be the most common and if this code applies to the employee, it should supersede any other code that may also apply for this line. as a waiting period or measurement period. Enter code 2E for any month for which the multiemployer interim guidance applies for that employee. the employee is offered health coverage. This code is most commonly used when an eligible employee waives coverage and the employer uses the W-2 Affordability Safe Harbor. month(s). This code is most commonly used when an eligible employee waives coverage and the employer uses the Federal Poverty Level Safe Harbor. This code generally is used in conjunction with Code 1A in Line 14. Rate of Pay Affordability Safe Harbor. * The most common codes are bolded and underlined.